Although it is possible to grow a hedge solely for ornamental purposes, most gardeners prefer a hedge that provides screening. 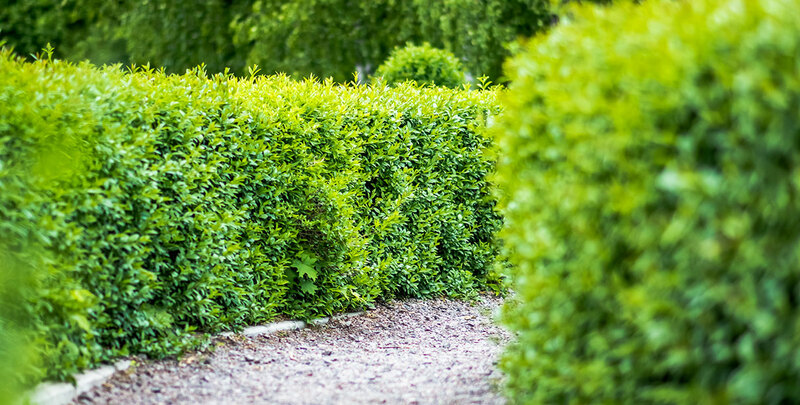 Screening hedges serve as a protection from the wind, but they are most commonly planted for privacy reasons. Most hedging plants can be used to create a screening hedge. However, multi-stemmed shrubs and bushy conifer trees are especially well-suited for screening purposes. Generally, hedging plants used for screening make tall hedges, up to 2 metres in height. As such, screening hedges create green, living walls around your garden. The most popular species for screening purposes are evergreen hedging plants, as they do not only offer healthy looking green foliage even during the cold winter months; they will also ensure your privacy throughout the year. One of the easiest ways to create a screening hedge is by ordering an instant hedge. Instant hedges have grown to maturity in the nursery and as a result, they have already reached their desired height before being delivered to your garden. This means that you will not need to wait for your new hedge to grow tall enough to provide the desired screening to your garden. Instant hedging can be costly, however. Should you have limited space available, a thin screen of ivy hedging is also a good option to create a screening hedge. 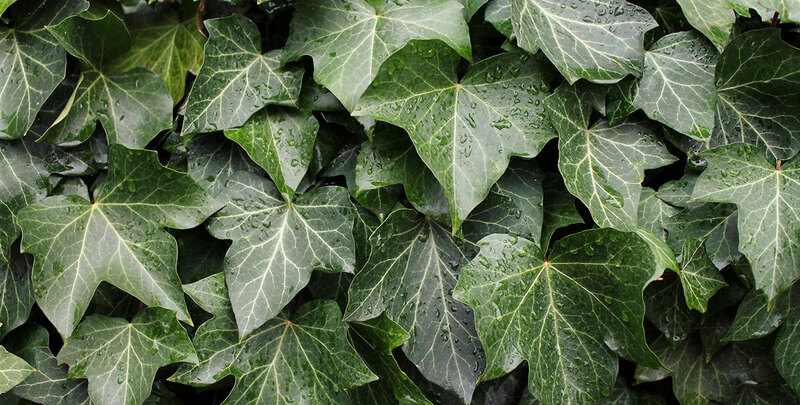 If ivy is planted towards a vertical object, such as a wall or a wooden frame, the aerial roots will cling to the surface and form a screen with a more elegant appearance than a simple fence. Despite being classified as a deciduous hedging plant, privet is a true British classic when it comes to hedging and will also offer year-round screening, as the species will only shed its leaves during particularly cold winters. It is worth noting, however, that growing a privet screening hedge will require more space and patience than, for instance, an ivy screen. Popular hedging conifers such as the Leyland cypress and dawn redwood are also very suitable as screening hedges and will grow faster than privet. 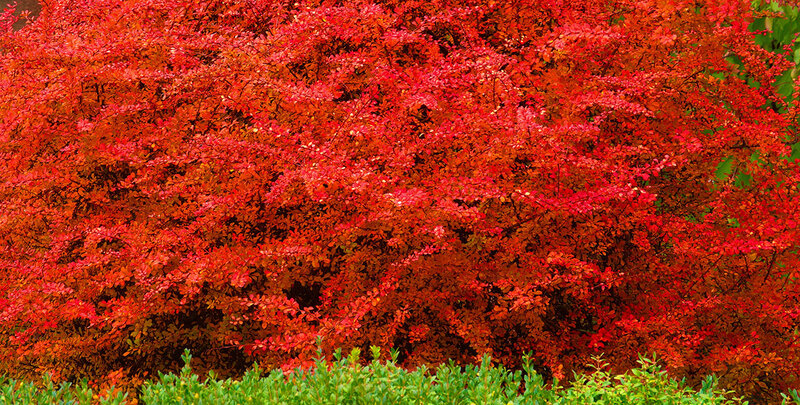 Berberis shrubs are thorny evergreens that will offer year-round screaning as well as protection from unwanted visitors. Unlike many evergreens, certain berberis varieties will flower nicely in the spring. Holly and yew are good evergreen options for gardeners who would prefer a native hedge. While evergreen hedging plants may seem like the obvious choice for year-round privacy, there are many deciduous hedge plants with a growth habit compact enough to still provide some screening in the winter. Also, certain deciduous species, such as the aforementioned privet, only drop their leaves during winters that are exceptionally harsh. As those winters are relatively rare in the UK, these species will essentially act as evergreens in British weather conditions. If you would like to combine the benefits of a flowering hedge and an evergreen screening hedge, there is also the option of creating a mixed hedge in which the colourful appearance of a flowering deciduous hedging plant is set to the backdrop of an evergreen screening hedge. As there are many different hedging plants that create screening hedges, the proper way to plant and maintain a screening hedge, as well as its soil and pruning requirements depend on the species and sometimes even on the variety chosen. Generally, it is safe to say that it would be wise to select a robust hedging plant that can withstand the elements if your garden is located in a particularly exposed area. A south-facing garden with an abundance of sunlight would in turn benefit from a tall, shady hedge, while a shadowy north-facing garden will require a hedge that is tolerant of shade. In addition, coastal gardens or urban gardens have to deal with issues like salty sea winds and pollution and therefore require a hedging plant that can handle those conditions. Evergreen hedging plants generally require more frequent pruning than deciduous hedges do, although regular pruning is beneficial to most species used for screening purposes, as this generally encourages the compact growth habit of these hedging plants. 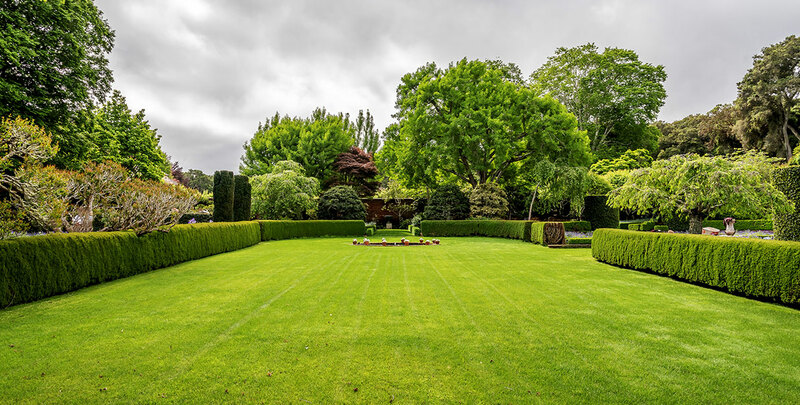 As a result, screening hedges commonly have a more formal appearance than country hedges or flowering hedges, which are often chosen for their informal, natural look. This is by no means a rule though, as some hedging plants have a dense enough growth habit even when they are not pruned regularly. For more specific information on the planting and maintenance requirements of the species we have mentioned, please refer to the information pages of these particular hedging plants. Screening hedges are popular as windbreaks and as barriers to keep out both uninvited intruders and the prying eyes of curious passers-by. Due to the large selection of hedging plants available, we would like to give aspiring gardeners an overview of all the options available on the market. That does not mean that experienced gardeners cannot use our information as a reference, of course. There are many options if you want to plant a screening hedge in your garden. So even if you are focused solely on native plants, only have limited space available or simply do not like the fact that evergreens have no seasonal colouring, there is a hedging plant out there that will provide proper screening for your garden. We believe that there is a screening solution for every garden. Both inexperienced and advanced gardeners can grow a hedge that will eventually be tall and dense enough to protect your privacy even during the cold winter months. And even if you need immediate screening, there is always the option of an instant hedge.